We have upgraded some of our general big blue recycling bins into bins that come in a variety of designs. Some of these bins have holes and other shapes that are specific to what recyclable item needs to go in that bin (just as shown in the picture on the right side). These designs encourage students to consciously acknowledge that it is a recycling bin, leading to a rise in recycling practices. According to Sean Duffy, an associate professor of psychology at Rutgers University, these designs can bring the recycling rate up to 34%. On top of all this, these bins are 100% made from recyclables! 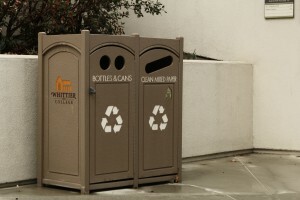 Although this is a huge leap in regards to Whittier College’s sustainability efforts, we still need to work on increasing the number of recycling bins all around campus. 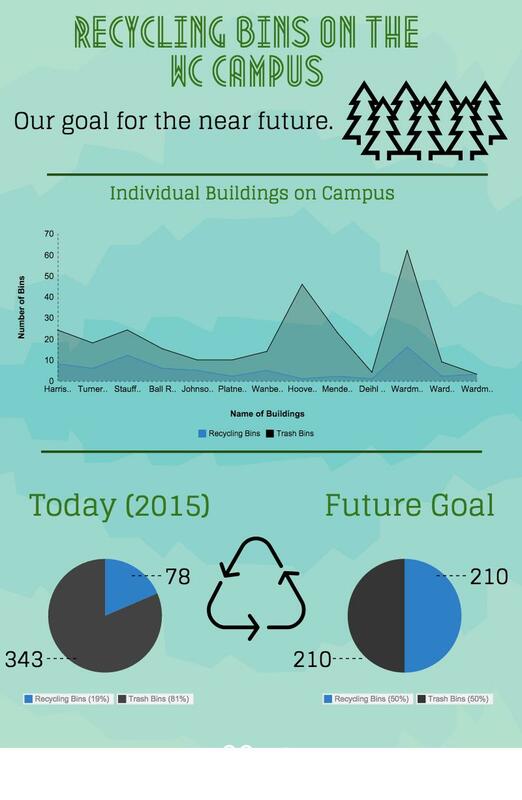 Below is an infographic showing our goals for recycling bins on campus in the long run.